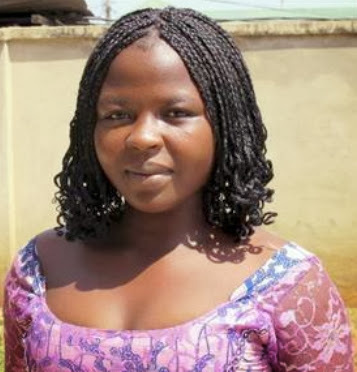 REUTERS – In the gloom of a hilltop cave in Nigeria where she was held captive, Hajja had a knife pressed to her throat by a man who gave her a choice – convert to Islam or die. Two gunmen from Boko Haram had seized the Christian teenager in July as she picked corn near her village in the Gwoza hills, a remote part of northeastern Nigeria where a six-month-old government offensive is struggling to contain an insurgency by the al Qaeda-linked Islamist group. In a new development, Boko Haram is abducting Christian women whom it converts to Islam on pain of death and then forces into “marriage” with fighters – a tactic that recalls Joseph Kony’s Lord’s Resistance Army in the jungles of Uganda. The three months Hajja spent as the slave of a 14-strong guerrilla unit, cooking and cleaning for them before she escaped, give a rare glimpse into how the Islamists have changed tack in the face of Nigerian military pressure. “I can’t sleep when I think of being there,” the 19-year-old told Reuters, recounting forced mountain marches, rebel intelligence gathering – and watching her captors slit the throats of prisoners Hajja had helped lure into a trap. Nigerian security officials say the Islamists have pulled back after army assaults since May on their bases on the semi-desert plain and are now sheltering in the Mandara mountains, along the Cameroon border around the city of Gwoza. From the hills they have been launching increasingly deadly attacks. The rugged mountain terrain – as fellow al Qaeda allies found in Afghanistan – has proven an advantageous base for a movement that once styled itself the “Nigerian Taliban” and sees all non-Muslims as infidels who must convert or be killed. The United States designated Boko Haram a terrorist group on Wednesday. Western governments are increasingly concerned about the wider threat posed by the group, which wants to create an Islamic state in a religiously mixed country of 170 million and which has ties with al Qaeda’s north African wing. Hajja’s account of how Boko Haram has adapted and survived in recent months underlines the difficulties governments in the region face. The spread of the threat was underscored by the kidnap on Thursday of a French priest in Cameroon, an attack France believes may have involved Boko Haram. The following day, Nigerian troops raided a base for the group in the Gwoza hills. The army said it killed 29 Boko Haram fighters and was “closing in” on the rebels. The group, whose name broadly translates as “Western education is sinful”, has killed thousands during a four-year insurgency against the Nigerian state, targeting the police and armed forces as well as politicians and then turning on Christians in the predominantly Muslim north of the country. The military offensive launched in mid-May, and the fact that large numbers of civilian vigilantes have supported it, has triggered a fierce backlash against local people by Boko Haram. The militants have killed hundreds in the past few weeks, including in massacres of school children. The Islamists dragged Hajja along rocky mountain paths and slept in caves in the hills, a landscape unfamiliar to most Nigerian soldiers, recruited from the plains. She ceremonially converted to Islam, cooked for the men, carried ammunition during an attack on a police outpost and was about to be married to one of the insurgents before she managed to engineer a dramatic escape. She says she was not raped. “If I cried, they beat me. If I spoke, they beat me. They told me I must become a Muslim but I refused again and again,” Hajja told Reuters in an interview. Her family name is withheld to protect relatives still living in the Gwoza area. “They were about to slaughter me and one of them begged me not to resist and just before I had my throat slit I relented. They put a veil on me and made me read from the Koran,” she said in the Nigerian capital, Abuja, where she is now living. At least a dozen teenagers like her remain in captivity, Michael Yohanna, a councilor in Gwoza’s local government told Reuters. Some have married commanders, recalling Kony’s LRA, which abducted thousands of “wives” in a 20-year war in Uganda before a truce in 1986. Kony remains a fugitive. A man called Ibrahim Tada Nglayike led the group Hajja was with. On one mission, Hajja was sent to stand in a field near a village to attract the attention of civilians working with the army. When five men approached her, they were ambushed. Among those who did the killing was the Muslim wife of the leader Nglayike, the only other woman in the band of fighters. Reuters verified Hajja’s account of having been abducted with independent figures in the region. Boko Haram shuns the media and none of its members could be contacted for comment. Hajja says the long-bearded insurgents lived a basic lifestyle, eating corn, millet and occasionally meat from animals they stole and which she slaughtered. The group, armed with AK-47 rifles and pistols stolen from police they killed, moved every day around the hills to avoid being tracked by the army and slept in the caves to shelter from the cold and for protection against air assaults. “They didn’t use phones but they had a radio,” Hajja said. “They would listen to BBC Hausa or Voice of America and jump and shout if they heard about Boko Haram attacks. islam is cancer. it kills without mercy. Wat sort of baseless battle r dis blood sucking demon possessed lunatics fighting??? If God can just hear my daily prayers nw n strike dem blind whreva they r existing including all dia sponsors, BH activities will bcm history in Nigeria. If u’re sayin d truth, God wil punished boko haram,but if u’re tellin us fake story U and UR entire family will end up ur LIFE IN BOKO HARAM HANDs.